"Recently, Harley-Davidson announced a limited-edition line of Harley-Davidson/Foo Fighters men’s and women’s apparel. This co-branded line-up is being sold exclusively at Harley-Davidson® dealerships around the world. 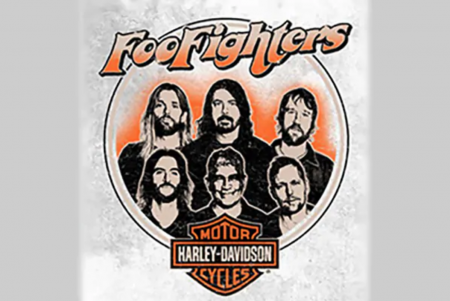 “Partnering with the Foo Fighters and Cal Jam is a great example of our broader access strategy,” said Jodi Budda, general merchandise marketing manager for Harley-Davidson. “By being a major part of this event, we raised awareness for our brand among thousands of people, meeting them on their turf where they are comfortable and open to checking out our brand.”"